Dylan’s albums from 1963 (The Freewheelin’ Bob Dylan) to 1969 (Nashville Skyline) need no introduction here. In the 1970s, he had an occassional great album or song (mostly in 1975’s Blood on the Tracks). By the 1980s and later, many overly optimistic critics claimed to spot a comeback, but there was little if anything that came close to the inspired work earlier in his career. 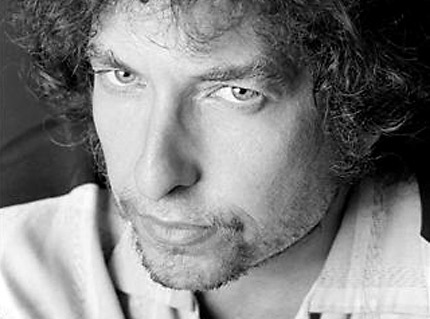 But in a twist on this neat chronology, well-known to Dylan fans, but little-known to the general public, was his 1983 masterpiece, “Blind Willie McTell”. An unreleased song by the 42 year old songwriter, it moves through time and space with a depth that few of his songs have ever reached. It moves through references to Jerusalem (implying Bibilical times), “East Texas” (the Alamo, 1836), “plantations burning... slavery ships” (such as Columbia, SC fire, 1865, at the end of the American Civil War) with images that touch on the senses (“See them big plantations burning / Hear the cracking of the whips / Smell that sweet magnolia blooming”). In Song and Dance Man III: The Art of Bob Dylan, Michael Gray makes the interesting comparison to this song's title/refrain and Columbia's 1960s advertising slogan "No one can sing Dylan like Dylan". I worked out the chords in the tunings I used to record the Sinatra songs (where the halfsteps between each string are: 4-3-2-3-4 instead of the standard guitar tuning’s: 5-5-5-4-5 - more about that here.) There are 2 guitars, one in open A6 and one in open C6 (the latter played as capo 3 on the former). The rhythm guitar rhythm was inspired by City and Colour's The Death of Me. Ziv, who mixed and mastered the track, delayed the entire bass track a bit to make it sound more laid back and the product of a late night jam session. Dylan's version starts in Dm/A7, this version is Am/E7, with the vocal line moved up 7 half steps. The song recorded here is based on 2 guitar parts, an acoustic rhythm guitar and an electric playing fills.